I'm going to come right out and say it. This market sell-off is ugly. It's not fun. It's scary. We've been through this before. It's not the end of the world. It may not even be the end of the bull market that's been going on for more than five-and-a-half years. 2008 was ten times scarier than this. A lot of people are going to be quick to say that the market turmoil of this September and October is similar to what happened in those two months of 2008. That's BS. Really. What's going on now is not even close! It's really funny how short people's memories are. I'm not talking about ancient history. In the fall of 2008, stocks were already well below their all-time highs. The financial market was collapsing. That's not hyperbole. Lehman Brothers went under. Washington Mutual failed. AIG (AIG) almost didn't survive. The credit market stopped working. 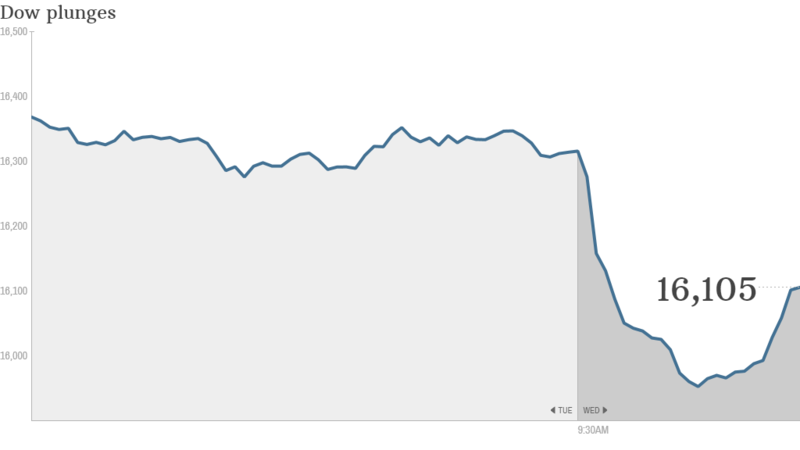 A 460 point drop in the Dow has you running for the hills? Please. In the autumn of 2008, the Dow plunged more than 500 points numerous times. And because the market was much lower, those moves meant a lot more on a percentage basis. Literally six years ago today (October 15, 2008) the Dow fell 773 points. That was a nearly 8% plunge. In one day! This is just like three years ago. So far, this sell-off is nothing more than a healthy pullback from record highs that was sorely needed. This is more like 2011 than 2008. Remember 2011? Stocks got off to a hot start to the year following a strong 2010. Sound familiar? The market plunged in August of 2011 after Standard & Poor's downgraded the credit rating of the United States. Stocks remained volatile for the rest of the year and the sell-off wiped out all the market's gains. "In 2008, we had a global financial crisis that would have led to more bank failures if we didn't get the TARP bailout. In 2011, we had a real correction. We brushed it off and moved on," said John Norris, managing director of Oakworth Capital Bank. "Stocks may go down a little more. 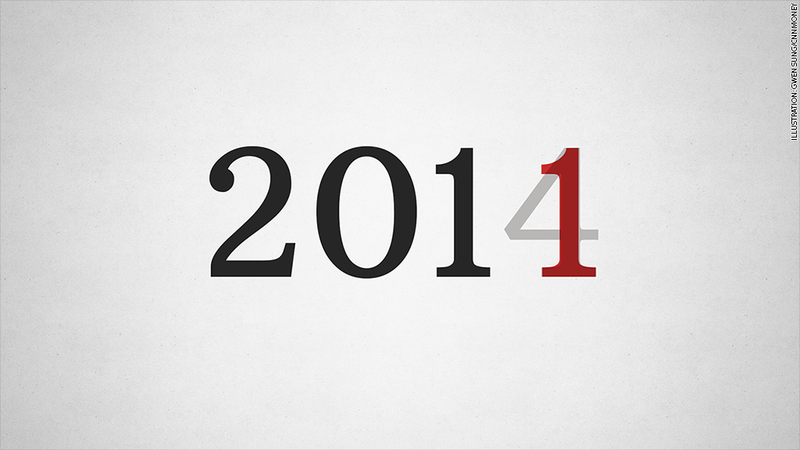 If we can finish the year slightly positive we should consider ourselves lucky." The recent market choppiness we are experiencing is on par with 2011 as well. The VIX (VIX), one of Wall Street's favorite gauges of volatility, topped the 30 level Wednesday for the first time since ... December 2011. And to put that in context, the VIX hit a peak of just under 90 in October 2008. The 2011 correction obviously didn't kill the bull either. 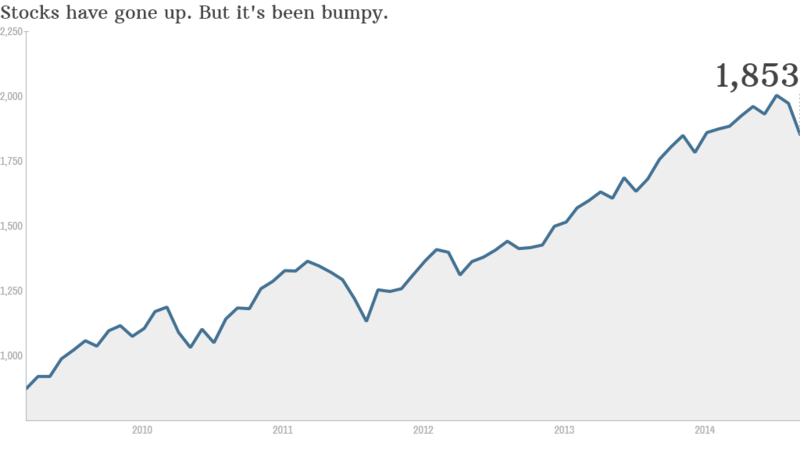 Stocks bounced back in 2012 and went on to enjoy ludicrous gains last year. Just look at the chart below. It hasn't always been a Paula Abdul-esque straight up move. Still, investors got lulled into a false sense of security last year. The market's huge gains with very little volatility duped everyone into thinking that markets would never be tumultuous again. Wrong! So what do you now? Norris said he is not advising his clients to make any major changes to their investment strategy as a result of the market volatility. He is still favoring shares of larger companies, which have strong balance sheets and should be able to bounce back from the recent volatility. It's really important to note that the market slide of the past month and a half has little to do with any tangible events. Will Ebola really become a global pandemic? That's just fear talking. Is ISIS really going to change things? Investors have lived through numerous conflicts in the Middle East. Yes, the economic situation in Europe is troubling. But this isn't the continent's first trip to the recession rodeo. The corrections of 2010 and 2011 were partly due to fears about Europe. So it's only natural that another (long overdue) correction has some of its roots in Germany and France as well. Fears of a China real estate bubble and slowdown are hardly new either. Until China actually implodes or a slowdown in Europe threatens the health of the U.S. economy and corporate earnings, any comparisons to 2008 are nothing more than reckless scaremongering. If anything, long-term investors should be happy that stocks finally have pulled back. "This isn't the time to sell. This is when you make your shopping list and start nibbling. The stock market is the only business where people don't want to buy when things go on sale," said Jeffrey Saut, chief investment strategist for Raymond James.